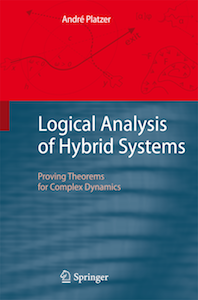 This paper is a tutorial  on how to model and prove complex properties of complex hybrid systems in KeYmaera , an automatic and interactive formal verification tool for hybrid systems implementing differential dynamic logic [1,2]. Hybrid systems can model highly nontrivial controllers of physical plants, whose behaviors are often safety critical such as trains, cars, airplanes, or medical devices. Formal methods can help design systems that work correctly. This paper illustrates how KeYmaera can be used to systematically model, validate, and verify hybrid systems. We develop tutorial examples that illustrate challenges arising in many real-world systems. In the context of this tutorial, we identify the impact that modeling decisions have on the suitability of the model for verification purposes. We show how the interactive features of KeYmaera can help users understand their system designs better and prove complex properties for which the automatic prover of KeYmaera still takes an impractical amount of time. We hope this paper is a helpful resource for designers of embedded and cyber-physical systems and that it illustrates how to master common practical challenges in hybrid systems verification. The canonical references on the KeYmaera approach are  and . The most comprehensive description of the KeYmaera approach can be found in the book . Also see the publication reading guide.